The energetic patterns today are profound and complex, setting the tone for the remainder of this month and into May. By now, Venus and Mars (as well as the Sun) have moved from the fiery energy of Aries into the fixed earth sign of Taurus. Mars in Taurus is next to the Sun right now and we may be feeling impatient and raring to go – where and when to go is not so clear!! Today, the Full Moon in Scorpio is exactly opposite the Sun in Taurus. Adding to this combination, Saturn in Scorpio is exactly next to the Moon and is also opposing the Sun. Saturn will be playing a dominant role during the next few days. In addition to opposing the Sun, Saturn will also be opposing Mars until approximately May 5. Saturn represents structure and authority. When opposite the Sun and Mars – many of us may be feeling stopped or stymied in terms of moving forward to our goals. We also may feel irritable and impatient with delays – and with other people’s unwillingness to do what we want them to do! Today with the exact Sun/Moon/Saturn/Mars combination – some unexpressed frustrations may come to a crisis point. Best for today and for the next 10 days or so – to be still and observant, rather than resisting or opposing. Scorpio and Taurus are both fixed signs with a lot of inertia. Instead of spending a lot of energy pushing the immovable – we can choose to calm ourselves and stay as centred as possible. This is a time to practice patience, and remember that this is a very temporary cycle. Additionally, today there is a partial eclipse over the Moon (Earth casting a shadow between the Sun and Moon). Our emotions (Moon in Scorpio) may feel temporarily in shadow and harder to access. When the Moon is in Scorpio – we tend to be more introspective and empathetic. With Saturn next to the Moon – we may be feeling stuck or blocked or confined. Saturn is also the great teacher, who’s energy can help in a positive way – if we use this energy to pause, reflect and assess. Scorpio has three different symbols associated with its transformative potential – the first is the Scorpion stinging itself, the second is the Eagle flying high and getting a better perspective, and finally – the magical Phoenix rising out from the ashes of the past – and transforming into its radiant spiritually charged form. We all have the potential to shift into higher levels of consciousness and rebirth ourselves. We’ll have exact squares coming up in May between Uranus and Pluto. Uranus in Aries is very flammable energy – breakdowns can be sudden and intense. Breakthroughs can shed light on systems, organizations, etc. that need transformation.. Pluto in Capricorn has to do with deeply examining foundational matters – where the foundations are weak – eg political, economic, environmental – if their foundations are weak and unsustainable, they may collapse as Uranus energies will crack things wide open. The best thing we can do for ourselves and others is to stay focussed and mindful – lessening our impatience to get on with it! This is a powerful time for transformation – it’s inevitable and it’s best to be as flexible as possible and be available to go through the doors as they open and reveal what’s beyond. With all of this energy, challenge and breakthroughs happening, you might well want an Astrological reading to assist you to optimize these times for yourself, your loved ones and your life! I look forward to helping you understand and appreciate your life patterns and explore ways to maximize your potential. Please feel free to call or contact me with any questions you may have and certainly you can share this email with others. We’re finally moving past the watery Pisces deluge of the past few weeks — with several planets now moving from Pisces into Aries. At one point, six heavenly bodies were moving through PISCES! These included the March 11th New Moon in Pisces as well as the Sun, Mercury, Venus, Mars and Neptune. After musing, mulling things over, swimming in pools of dreamy water — we’re moving into a very different energy field – now full of the fire of Aries! 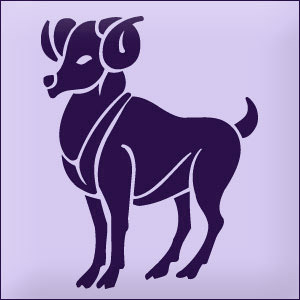 Aries is the sign of taking action and moving forward! It’s the energy of taking a risk and leading the way! The NEW Moon in Aries will occur early morning of April 10th. The Sun and Moon, Venus and Mars, will all be very close together between 22-24 degrees of Aries. Meanwhile Uranus is moving through Aries for the next several years — bringing many changes and upheavals to make room for the new. This is the time to pull out the stops and be actively participating in life and enjoying the excitement of discovery and creating new beginnings. Mercury is still in Pisces and will be moving through Aries from April 15th to May 1st. It will enter Taurus on May 2nd . When Mercury is in Aries, our ideas, thoughts and communications will be speeding up. It’s important to take a moment to think before responding or reacting — as tact is needed to modify the hasty words that once out, can’t be retrieved. When Mercury is in Aries – we can be quite straightforward and honest, and impatient with others who may be slow responders. It’s important to temper our temper!! Uranus in Aries and Pluto in Capricorn are both moving into an exact square to each other (tense alignment) throughout the month of May. Lots more changes are coming! Uranus helps break through existing structures while Pluto digs down into shifting foundational systems and issues. This combination may be very uncomfortable for any personal or collective beliefs and structures that are on shaky foundations. And — when breakthrough occurs — light gets in! Creative alternatives can and will arise. This continuing series of Uranus-Pluto squares will be occurring until May 2015. With all of this energy, challenge and breakthroughs happening, you might well want an Astrological reading to assist you to optimize these times for yourself, your loved ones and your life! I look forward to sharing my readings with you!